Family Law cases and most Probate Law matters are brought in the Probate and Family Court where they are heard in open court by a single judge sitting without a jury. A family law case typically begins with the filing of a Complaint with the Court. 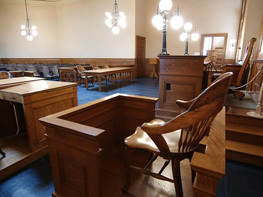 After the Defendant has been served with legal process, the attorneys may often engage in "discovery" or the determination of facts relevant to the controversy. Books, records or documents may be sought from either side or third parties. Parties may seek to take "depositions" or examine a person under oath in the presence of a stenographer. Often times it may be necessary to retain an "expert witness" to value real estate or a business owned by one of the parties. If the parties are ultimately able to resolve their dispute, the attorneys will prepare a detailed Agreement which will be submitted to the Court for approval. If a full agreement cannot be reached, then the matter proceeds to trial. Mediation is a voluntary, confidential process which enables the parties, with the assistance of a neutral person (“Mediator”), to discuss and ultimately negotiate the settlement terms of their controversy. The role of the Mediator is to foster settlement discussions between the parties. Both parties must be committed to provide full and fair factual and financial disclosure to the other in order for the mediation process to work. Not only is mediation generally more cost effective than litigation, it also is less emotionally charged. As a result, the parties are often times able to resolve their dispute, and still maintain good will between themselves. This last benefit is particularly critical in marital situations with young children. Parents who can continue to be respectful toward each other after their divorce are better equipped to face the challenges of raising happy and healthy children. To learn more about mediation, go to www.mcfm.org. Collaborative Law is a relatively new, but fast-growing approach to resolving disputes without resort to litigation. It is particularly appropriate in family law cases. The essential element of a collaborative approach is an agreement signed by both parties and their respective attorneys to refrain from litigation, to make full and fair disclosure to the other side of all material facts, and to provide relevant documentation upon request. If the parties are unable to come to a settlement, the attorneys are required to withdraw from further representation of his or her client. It is this last provisions that is the hallmark of a collaborative approach, and emphasizes the necessity of a negotiated resolution. Massachusetts attorneys who have attended a required collaborative law training program are eligible to become members of the Massachusetts Collaborative Law Council. For more detailed information regarding Collaborative Law and to locate a collaborative attorney, go to www.massclc.org. The breakup of a marriage or a bitter dispute over custody can be traumatic. Ease your burden by learning your legal rights and obligations. Call (617) 723-8010 to schedule an complimentary initial consultation.